Major corporations that were previously eager to move their call center operations overseas are once again starting to see the value in keeping their data local—or at least bringing them back to North America. While it’s true that cheap labour was what initially attracted these large enterprises to South Asian markets such as the Philippines and India, high employee turnover rates, rapidly declining customer satisfaction, and service quality are what’s forcing them to come back. Canada was once the linchpin of over-the-phone customer service representation and now it looks like it’s reclaiming its high-level position. Canada is once again changing the face of outsourcing customer support and this time, we’re keeping it local. Why Are Canadian Customer Support Services Superior to Outsourcing from Other Countries? The fact is that when your customers contact a call center, they expect to speak with someone who has similar sensibilities, speaks fluent English, and has the authority to handle even their most complex concerns. Canada is a diverse nation that represents hundreds of nationalities, so the chances of finding customer service agents who speak multiple languages fluently are very high. Customers are usually more impressed when they have a variety of options regarding the types of services they expect to receive. Of course, these days calling into a call center can feel a lot like a coin toss. You never know what type of service you’re going to receive, whether the customer service representative will be courteous, kind, and understanding or if they’ll come off as curt and unresponsive. The quality of the service and level of courtesy exhibited by the customer service representative are both important qualifiers of excellent customer service. Right now, the Canadian customer support market is experiencing a noticeable uptick as more and more corporations are choosing local call center services. Here are a few reasons why that matters. Improved service uptime is a measure of reliability and capability to provide essential customer service and support solutions in real time. For the most part, your customer service agents will be working during the same waking hours as your local clients and this can make all the difference when it comes to providing high-quality solutions. Customers can rely on your agents to be available whenever it’s convenient for them and this also means that they can get additional support from different departments or a supervisor if they need it. Canada is a multicultural and multiethnic nation and that means that to some degree, cultural training will always be required. This is especially true if you’re hiring newcomers to your workforce, which is highly encouraged because they bring a wealth of unique experiences and insights that can help you grow your business. However, since the majority of your representatives will be required to learn and speak English fluently in addition to any other language skills they may already possess, the learning curve isn’t as complex as outsourcing customer support from other countries. Most Canadian workers are already well assimilated into the way things are done here and are therefore fully capable of meeting the needs of your customers. In Canada, the importance of ample multicultural representation can’t be stressed enough. People of all backgrounds, creeds, and linguistic capabilities are welcome here and for that reason, it’s important to accommodate their needs equally. The more multilingual representatives you have on staff to accommodate the needs of your customers, the better. Offering a wide range of language options on your automated call answering service increases your chances of appeasing and retaining more customers. Seeing how much your company encourages and values inclusivity will make your customers feel proud to do business with your company. One of the main reasons that international call centers don’t always work favourably for Canadian customers is their sheer lack of funding. Sometimes, it has nothing to do with the employees’ capabilities, but more to do with the fact that they’re not equipped with the proper tools and technology to perform their jobs well. Technology is a key player in providing excellent customer service. 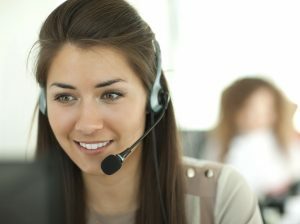 Oftentimes, overseas customer service agents are stuck in poor working conditions where power outages are common and computer systems are constantly breaking down. These are less than ideal working conditions for people who need consistent and reliable Internet access to complete their work tasks. Canadian call centers usually have access to state-of-the-art technological systems and IT support that pretty much guarantees full service with limited technical issues. Attrition rates, which are also known as churn rates, refer to the number of employee and customer turnover over a certain period of time. Whether employees have moved on to higher up positions or have simply found work elsewhere, high attrition rates can seriously hurt your business both financially and personally. There are a number of factors that can influence your attrition rates including poor working conditions, mismanagement, lack of employee incentives, and so much more. Furthermore, high employee turnover can directly impact your customer attrition rates as well. The less satisfied an employee is with their job, the worse the quality of their performance will be and customers are usually the first to notice this. That’s why Canadian-based call centers put forth an employee-focused platform. Satisfied employees are more likely to stay and grow with your company while also being empowered to offer excellent customer service. They’re also less likely to look for work elsewhere and low employee attrition rates can lead to higher customer retention. 3C Contact Services is a Canadian-based local customer support center. 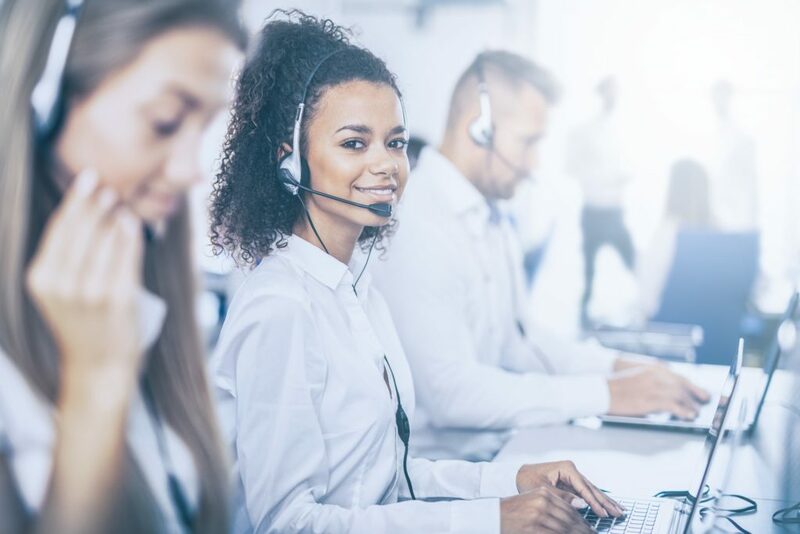 Our dedicated customer service agents offer top-notch solutions and answers to all of your customers’ questions over the phone, via e-mail, and through live chat services. We have experience handling domestic and international customer service requirements to help you grow your business, as well as Canadian business process outsourcing (BPO). Contact us today to learn more about our exclusive customer service solutions and why we are one of the best call centers in Canada.